AgriProFocus Indonesia is looking for a Network Coordinator who is an independent, energetic and compassionate free spirit and who will provide leadership to the network, establish and maintain strong relationships with a variety of network stakeholders and will actively facilitate cooperation between the network stakeholders." Since its foundation in 2004 the AgriProFocus network has been successful in bringing parties together to promote the sustainable development of agriculture in low and middle income countries in Africa and South-East Asia by supporting entrepreneurial farmers. The AgriProFocus network is a unique multi-stakeholder network in the agri-food sector representing entrepreneurial farmers, private sector enterprises, governments, knowledge institutions and civil society organisations. The network has 32 Dutch member organisations, is active in 13 countries in Africa and South East Asia, and links 22.000 agribusiness professionals worldwide. AgriProFocus is the go-to network for innovative entrepreneurs in agricultural value chains, that effectively link agribusiness and development. The network focuses its collective attention on farmer entrepreneurs that are the real change makers in the sector. They are business driven and market oriented, have a willingness to grow, are innovative and contribute to development issues of food and nutrition security, inclusiveness and sustainability. Linking: AgriProFocus members work through the network to be able to have access to each other’s resources, contacts, expertise, tools and knowledge. Learning: Through the learning activities AgriProFocus facilitates members to explore, create and strengthen opportunities for synergy and joint action. Leadership: Building on evidence based cases, our members jointly shape the discourse at national, regional and global level. Our leadership activities offer members leverage and improved visibility & credibility. The Network Coordinator will work from Jakarta, together with the Network Assistant. With the Network Facilitator for Indonesia based in the Netherlands they make the AgriProFocus Indonesia coordination team. The Coordinator falls under the supervision of and reports to the AgriProFocus Program Director in the Netherlands. 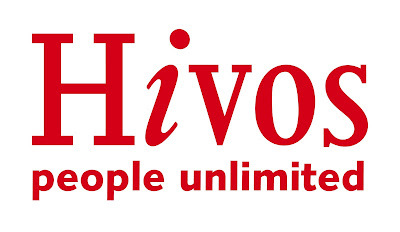 The AgriProFocus Indonesia Network is being hosted by HIVOS Southeast Asia. The personnel contract will therefore be with HIVOS Southeast Asia. AgriProFocus brings parties together to promote the sustainable and inclusive development of agriculture by supporting entrepreneurial farmers. Each country network is resourced by funds from the Dutch Ministry of Foreign Affairs and by its members and partners. The AgriProFocus Country Network’s function is based on members’ commitment and willingness to share and work together. In short the AgriProFocus Country Network’s mode of operation is ‘for and through its members’. The AgriProFocus Country Network coordination facilitates the members to perform. The AgriProFocus Network Coordinator is to support an effective multi-stakeholder platform through building & maintaining relationships, development of the network and coordination of the implementation of the country plan in close cooperation and in complementary responsibility with the AgriProFocus Network Facilitator. AgriProFocus Indonesia will support this through coordination and networking, linking, learning and leadership through providing a neutral place for debate and policy dialogue and stimulate change makers. Significant activities have been developed around youth & farming, coffee, coconut sugar and gender in value chains. The network has seen significant growth over the past year. The network aims to develop a wider variety of activities, aims for significant growth of the network and more pro-active engagement of the members in joint learning and leadership activities. Provide leadership for AgriProFocus Indonesia, and facilitate development of an AgriProFocus Indonesia strategy with its members and contribute to network development and growth. Work closely with the AgriProFocus network facilitator from the Netherlands support office. Establish strong working relationships with national government, businesses, bilateral and multilateral actors, NGOs and academics in the field of agribusiness and farmer entrepreneurship. Of special interest will be maintaining the relationship with the Embassy of the Kingdom of the Netherlands (EKN). Responsible for implementation, planning and monitoring, including financial administration of AgriProFocus Indonesia resources in coordination with Hivos as the Host Organization. Facilitate the development of an effective knowledge sharing and cooperation culture among members with the overall aim of supporting the promotion of farmer entrepreneurship and inclusive and sustainable agri-business. Will be secretary of the Indonesian Country Network Steering/Advisory Committee and will be responsible for coordination of those meetings, ensuring the successful recording of the meeting minutes and maintaining the records for all the deliberations. Represent AgriProFocus Indonesia in AgriProFocus Global meetings and other (regional and national) relevant forums and meetings; These meetings might take place in the Netherlands or one of the other Asian or African countries in which AgriProFocus is active. Prepare and finalize the content for country-level periodic narrative and financial reports to the AgriProFocus Program Director and/or relevant external actors and financiers. To apply for this position please submit your CV and a cover letter to hr.sea@hivos.org no later than 19 February 2017. Please specify the position name you are applying for (“APF – Network Coordinator”) in the ‘subject’ line of your email. Only shortlisted candidates will be notified.